October 2, 2015, by Andrew Giilbert, BERKELYSIDE. 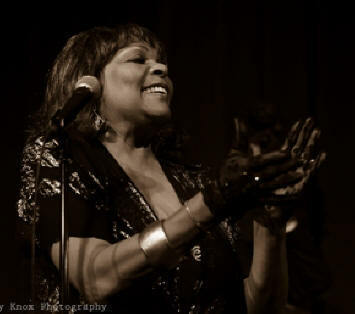 Denise Perrier’s theme song could be “Travelin’ Light,” as the supremely stylish San Francisco jazz singer continues to follow her wanderlust to the wide corners of the world. Since she first lit out to tour Australia some five decades ago, Perrier has performed in more than two dozen countries, a tireless itinerary that means she’s often introducing herself to new generations of Bay Area jazz fans when she gets back home. You can catch her Saturday at the California Jazz Conservatory with Swing Fever, but then she’s off for San Miguel de Allende in Mexico, followed by her first trip to Cuba in December. Perrier knows how to make a lasting impression. With her velvety contralto and unerring sense of swing, she’s equally at adept at interpreting American Songbook standards with a piano trio in an intimate cabaret as she is belting out blues backed by the Junius Courtney Big Band (though she’ll be in Havana for the JCBB’s next gig at Yoshi’s on Dec. 15, so the estimable Rhonda Benin is stepping in). She’s been working with Swing Fever since the turn of the century, regularly performing with the group on first and third Tuesdays at the Panama Hotel in San Rafael (as well as Pier 23 and Sausalito Seahorse). 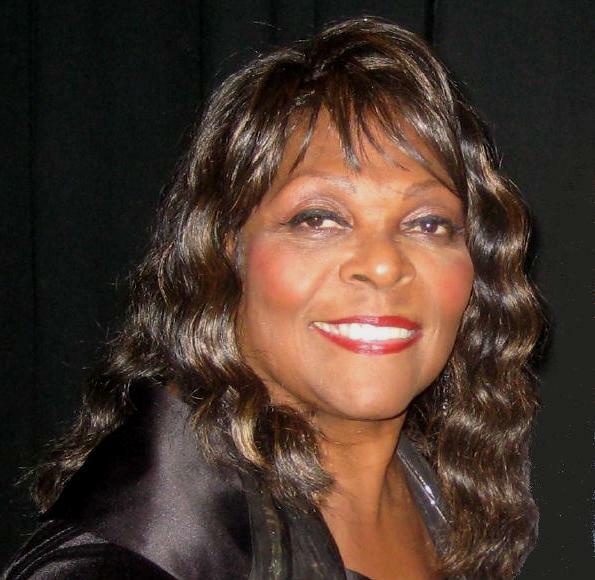 Founded and led by trombonist Bryan Gould, the combo has long served as a smart showcase for the best singers in a region known for producing exceptional vocalists, starting with the great Mary Stallings. Before Perrier took over the vocal spot Swing Fever boasted singular singers Paula West, Kim Nalley, Brenda Boykin and Jackie Ryan. For Saturday’s gig, the band features tenor sax great Noel Jewkes, guitarist Jeff Massanari, drummer Tony Johnson, and bassist Dean Riley, a Bay Area jazz mainstay since 1945 (!). "Ms Perrier boasts a gorgeous instrument; call it a burnished contralto. When she sustains a tone, it remains unswerving. Yet when she decides to go for a high note, she can leap an octave with ease and vocal strength." - Dee Spencer, pianist and professor of music. "Denise has everything a singer should: sound, soul, swing and feeling. And she's a party!" "She's the real deal, right in there with Ella Fitzgerald and Dinah Washington." "A commanding singer with a big, warm voice and a stylish delivery." dancing, ingratiating intimacy usually associated with Continental vocalists…a real pro,"